When you allow your tenants to have pets, there are certain problems you may have to deal with as a landlord. It can open up a whole new set of complaints from other tenants. A bigger fear is that a tenant’s dog will injure or bite another tenant. Learn the steps you should take if this happens on your property. If one of your tenants is bitten by a dog that is owned by another tenant, you must take immediate action. It is every landlord’s nightmare when they decide to have a pet-friendly property. 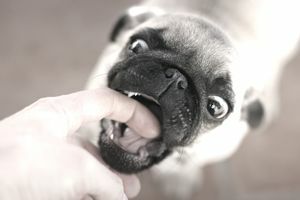 Once you are aware that a tenant's dog has bitten someone on your property, you should speak with the victim. If the tenant hasn’t already done so, let the tenant know that he or she should seek medical attention if they think it is necessary. Inform the victim that they have the option to contact local animal control. Advise the victim to make a note of any witness to the injury, both for your records and for any legal matters, such as police reports or insurance claims. Once the tenant has received medical attention, if necessary, speak with them regarding the incident. They may claim the dog attacked them, and they want the animal removed, or they may say it was a misunderstanding and do not believe any further action must be taken. There are two sides to every story, so it is important you speak to the tenant who owns the dog to see if they agree with the victim’s story or if they deny it. They may have a different story and could feel that the "victim" was provoking or abusing the dog in some way. If you have any other tenants, you will also want to get their opinion about the dog. Hearing the perspective of others can help give you a more well-rounded view of the situation. Did they witness the incident? Have they ever felt threatened by the animal? Have they seen the animal exhibit aggressive behavior? Have they ever seen the "victim" provoke the animal? The Victims' Wishes: The victim of the dog bite may want the animal gone, or they may have no problem with the animal remaining on the property. You should consult with the victim and get their wishes in writing, especially if they say they do not consider the dog to be threatening. For example, the victim could have been a tenant’s four-year-old son. If the child was tugging at the dog's ears and stepping on its tail, the tenant might determine that the dog exhibited a natural reaction and poses no further threat. If instead, the tenant went to greet the dog’s owner, and the dog became territorial and bit the tenant, the tenant may no longer feel safe around the animal and wants it to be removed from the premises. Your Lease Agreement and State and Local Laws: The action you can take may be limited by the terms of the lease agreement the tenant signed, as well as your state and local laws. You Inherited the Tenant: This situation could occur if you bought a property that already had existing tenants. If you have inherited the tenant and their dog, you may have to abide by the terms of the original lease they signed and your actions could be limited to putting up ‘Beware of Dog’ signs. You could try and evict the tenant under the grounds that their animal poses a threat to the safety of your other tenants and those around it, but there is no guarantee you would be successful. They Have Signed a Lease With You: If the tenant has signed a lease agreement with you, the terms of your lease will dictate the action you can take. It is why it is so important to have a tenant sign a pet addendum. This addendum should have a clause which requires the tenant to get rid of the animal or the tenant must move-out with the animal if the animal becomes a threat to the other tenants. You should spell out what behaviors would be considered threatening, such as biting or attempting to bite. If the tenant has not signed any sort of pet addendum or safety clause as part of the lease agreement, it could be more difficult to get rid of the animal. Local animal control could attempt to remove the animal if they deem it a threat, or you could try evicting the tenant because they are threatening the safety of others. It is unfortunate that situations such as these occur, but as the landlord, it is your obligation to look out for the well-being of all of your tenants and the community in which they reside. When an animal bites, the animal has become a liability and a danger to those around it. You must take the necessary precautions, whether it be posting “Beware of Dog” signs, having the animal removed from the premises, having the tenant move-out or evicting them. Dog Bites- Could the Landlord Be at Fault?